Just because you've done a good job showing up in SERPs and a person visited your website does not mean that person is ready to buy anything from you. At least not yet. Trying to sell and survive in a B2B world is not a sprint, but a marathon, and having them come to your page and consume some of the content there is literally just a step in the right direction. It is a long-term game that requires building trust and nurturing a relationship with prospects. (visitors who were never potential customers are grounds for a different discussion). What you need to do first is learn to distinguish blank leads from quality leads, those that actually might buy from you down the line, from those who are just interested in consuming content, maybe learning a thing or two, and moving on. What traffic are you driving? The first thing you need to do is make sure you are driving the right audience to your website. Analyze your current customers, their challenges and pain points, ideas and goals. Learn as much as you can about your ideal customer, and build your content around that knowledge. Understand what they want to learn and be the one to provide it. Then, make sure your content is optimized for search engines so that it may end up high in SERPs. For organic content you need visibility, and lots of it. That can be achieved through SEO best practices. Make sure your site is optimized for mobile and that it runs fast and smooth. Ensure that your site does not have too many levels, or ghost links that confuse Google’s crawlers. Keep in mind the keywords you are using, and that they are present in the title, the article’s body, the meta description, as well as in your images’ alt text. And last, but definitely not least, avoid duplicate content at all cost. 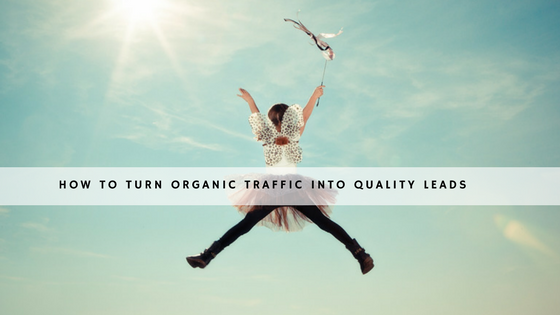 Now that you have quality content and have started generating organic traffic, it is time to filter out quality leads, those you can actually market to, from those who are just interested in reading a few cool blog posts on any given subject. You will achieve that by turning your blog into the gateway to your website. Create exclusive and valuable content in any form you feel your ideal buyer persona will enjoy most. That can be a webinar, a product demo, an interview, an audio guide or a podcast, an e-book, infographic, or any other form of media – feel free to go wild. Then, make sure you place that content behind a wall, and have your visitors sign up to receive it. Essentially, this turns them into a lead, as now you have a direct communications channel with people who have shown extra interest in your content and the product or service you offer. Just make sure you don’t ask for too much information. People are reluctant to give too much information nowadays and are quick to run away if they feel they are being asked for too much. Here is where it gets tricky. Now that you have your leads’ emails (or other communications channel), what do you do with them? Do you start pitching sales right away? You should probably not do that yet, as you still can’t be certain at which stage of the buyer’s journey they are, and if they are interested, ready or willing to toss out a few greens your way yet. 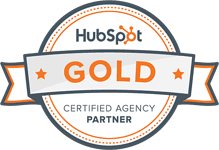 According to HubSpot, only every fourth lead is ready to buy at any given time. Instead, use that communications channel to offer even more value. Engage in a conversation with your leads, try to learn more about them, but at the same time look to form a relationship built on trust, transparency and professionalism. Any information received needs to be used for lead scoring. As we have mentioned earlier, each lead is different on an individual level, and approaching them all from the same angle means wasting time and resources, hurting the user experience for the majority of your leads and probably not getting much done. What you will want to do is think of a number of criteria that a lead must satisfy before you can consider them “sales ready”. Create a ranking system, and rank your leads based on the numbers of criteria they are satisfying. Your sales team’s approach to any given lead will be different, based on where they rank on your system, and which criteria they are fulfilling. Quality leads are like catnip for marketers. Being a potential customer of a product or a service, they are the lifeline of every business, which is why marketers tend to seek them out with almost religious devotion. However, not every lead is created equal, and some are worth your time and effort more than others. By offering engaging, educational and entertaining content, your site will bring in many people, but only a portion will move through gated content. Those leads are worth your time. Educate them, bring value to the table. Nurture those leads by forming relationships based on transparency and trust. And at the end of the day, make sure you are not selling too soon – those things tend to go haywire, fast. Noa is the co-author of the Amazon no.1 Bestseller "The Smart Marketer's Guide to Google AdWords" and co-host of the podcast "Real Life Superpowers". She's a content lover, certified journalist & lawyer (Hebrew U). She practices martial arts & yoga. 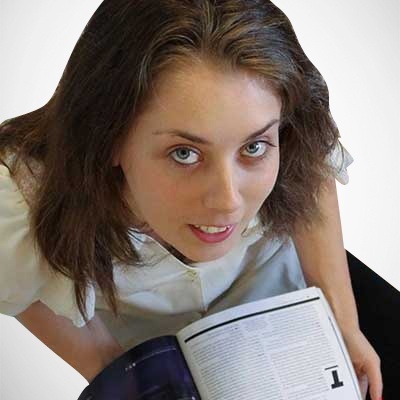 She's been consulting and helping businesses create a significant presence online since 2010.